By Pratap Chatterjee, executive director of CorpWatch and a member of Amnesty USA’s Board of Directors. He is the author of Halliburton’s Army and Iraq, Inc. In October 2012, Mamana Bibi was killed in front of her grandchildren while gathering vegetables in her family’s large, vacant fields in Pakistan. She was blasted into pieces by a drone strike that appears to have been aimed directly at her. 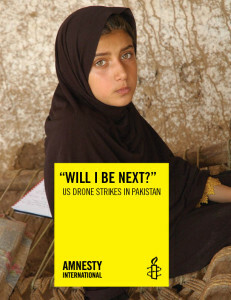 For this report, Amnesty International reviewed all 45 reported U.S. drone strikes that occurred between January 2012 and August 2013 in North Waziristan, a region in northwest Pakistan which has seen the vast majority of this type of targeted killings. The organization conducted detailed field research into nine strikes, based on rare access to the region and more than 60 interviews with survivors, eyewitnesses, residents and officials. Amnesty International found that the killing of Bibi and several other so-called targeted killings from U.S. drone strikes in Pakistan violated the right to life and may constitute extrajudicial executions or war crimes. The U.S. appears to be exploiting the lawless and remote nature of the local region to evade accountability for violations of the right to life. The killings Amnesty investigated are just a fraction of the total number. Over the last decade, the Bureau of Investigative Journalism estimates that at least 168 children and 419 civilians have been killed by drone strikes in Pakistan. 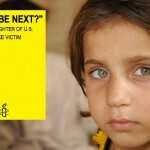 Over the last decade ... at least 168 children and 419 civilians have been killed by drone strikes in Pakistan. I have personal experience of this tragedy – in October 2011, at a gathering of victims’ families, I met with Tariq Aziz, a 16-year-old boy in Islamabad. Tariq was there to meet with activists, lawyers and journalists to tell them the story of his cousin who had been killed in a drone strike. Three days after I met Tariq, the Central Intelligence Agency killed him in another drone strike . In May 2013, President Obama made a promise to increase transparency about drone strikes. But the Administration has yet to officially disclose any new information about drone policy, the legal framework or particular strikes. The Administration’s approach to oversight and public accountability has been to describe malleable “policy standards” – rather than real legal limits – leaving the door open to abuse. To this day, U.S. authorities have failed to acknowledge responsibility for specific strikes, let alone establish a mechanism for investigating potentially unlawful killings and providing redress where appropriate. It is for this reason that I, together with my fellow members of the Board of Directors of Amnesty International USA, jointly signed a letter this weekend to Senator Dianne Feinstein and Senator Carl Levin to urge the Senate Armed Services and Intelligence Committees to initiate an investigation into the killings documented by Amnesty International and all other cases where there are reasonable grounds to believe that drone strikes resulted in unlawful killings. You can help, sign our petition. This entry was posted in Amnesty Members, International Justice, Middle East and North Africa, Prisoners and People at Risk, USA and tagged abuses by armed groups, Amnesty Members, human rights defenders, international justice, Middle East and North Africa, pakistan, prisoners and people at risk, rights for victims of armed groups, USA by Guest Writer. Bookmark the permalink. 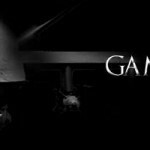 Drone Strikes: When Will the U.S. Wake Up? The overwhelming majority if not all of those have occurred over the last 5 years. Lets be honest.